Aerodynamics, fuel efficiency, and light weight are all important characteristics of parts for the transportation industry. Crescent Plastics has assisted numerous OEM’s in providing materials and assisting in designs to provide the rugged and tough parts required for their applications. 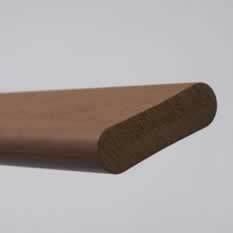 Replacing metal parts with those made from thermoplastic olefins eliminates the possibility of rust, removes sharp edges, reduces weight, and provides greater cold temperature impact resistance. 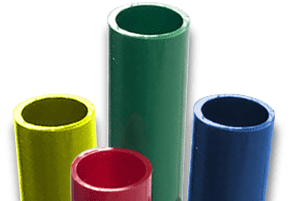 Crescent Plastics has considerable experience in delivering custom extrusions and custom tubing that can survive the challenging conditions seen in this industry, such as temperature extremes, UV resistance, harsh chemicals, fuel exposure, and impact. We work with a wide variety of thermoplastic materials and can manufacture custom extrusions in nearly any shape, no matter how simple or intricate. 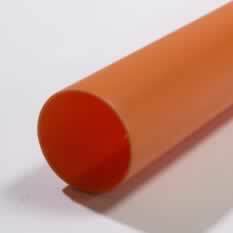 We can provide custom tubing as small as 0.188” in diameter and extruded plastic shapes up to 20” wide and larger. Contact us today for the custom extrusions your transportation project requires. Our engineering team is available, to provide design assistance during product development. Whether you have only a rough design sketch or a completed prototype that’s ready to move into full production, we’re here to help! Crescent Plastics’ expert engineers can assist you with everything from material selection to design modifications for better and more efficient manufacturability. We can provide 3D printed samples that allow you to test fit, form, and function. Our DFM (design for manufacturing) methodology ensures superior quality and maximum production efficiency. We manufacture all tooling and dies in-house to reduce costs and production times, and to guarantee the quality and accuracy of your plastic extrusion shapes. DFM methodology, along with a range of in-house secondary services—like inkjet printing, hot stamping, punching, drilling, routing, assembly, and kitting—will help you get your product to market faster. Crescent Plastics’ combination of process experience, design expertise, and advanced technology enables us to produce custom tubing and extruded plastic shapes that consistently meet or exceed customer expectations. Contact us today to request a quote on custom extrusions for your transportation application.